It’s unusual for someone to show up at a dealership and say, ‘I don’t know what I want,’” O’Hagan notes. For the first time, Audi dealers top the Pied Piper Satisfaction Index. In the cellar is Tesla. A by-brand mystery-shopping study of how well auto dealerships deliver customer satisfaction indicates top scorers had something in common: They helped customers more. “‘Helpful’ is one word that determines how dealerships did,” says Fran O’Hagan, president and CEO of Pied Piper Management, a consultancy that sent secret shoppers to 3,466 dealerships nationwide. “And fact-finding is essential to being helpful,” he says, referring to a point in a sales process when the car salesperson asks questions about customers’ mobility needs to help them select the right vehicle. O’Hagan contends such factfinding remains relevant today, even though many customers extensively shop and research online. Many of them know exactly what they want when they arrive at the dealership. Others aren’t so sure. That said, “It’s unusual for someone to show up at a dealership and say, ‘I don’t know what I want,’” O’Hagan notes. That’s where it is helpful when the salesperson asks customers questions, such as how they primarily will use the vehicle and how many miles they typically drive in a year. 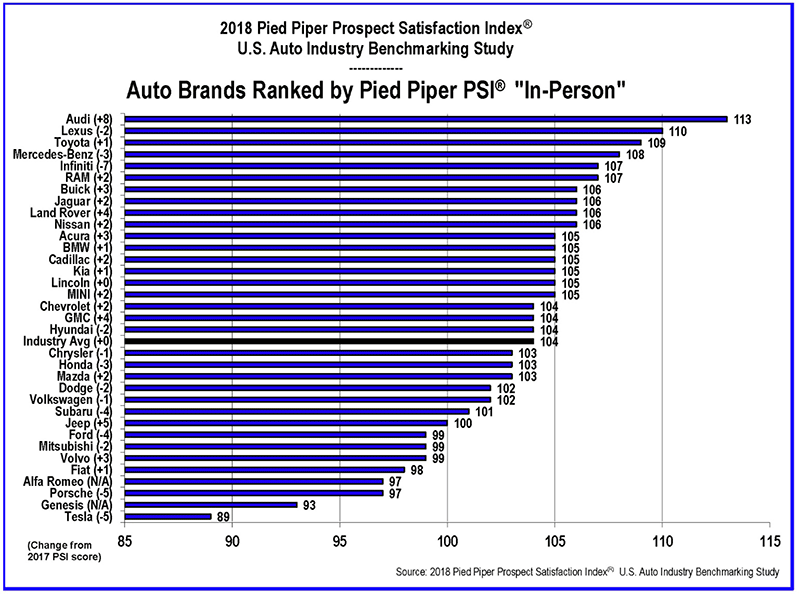 For the first time, Audi dealers top the Pied Piper Satisfaction Index, followed by Lexus, Toyota, Mercedes-Benz and Infiniti. In the cellar is Tesla, a brand that has never scored well on the Pied Piper test. Mystery shoppers found some Tesla salespeople were outstandingly effective, but too many of them weren’t, basically because they just answered customer questions. O’Hagan likens them to museum curators. Some people may disdain small talk, but the Pied Piper study says it helps when dealership salespeople first meet customers. The 12th annual study indicates salespeople compared with past years do a better job of connecting early on with potential car buyers, yet that still occurs only half the time. 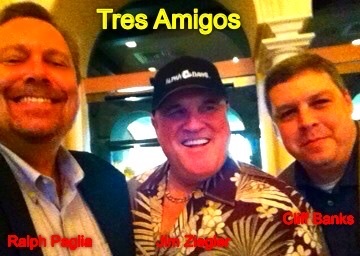 “Usually, it’s just, ‘May I help you?’ vs. small talk that builds rapport,” O’Hagan says, adding it is essential that dealerships create a selling process and get staffers to follow it. · Involve the customer with visual aids. A test drive is the ultimate way to engage a customer, but showing multimedia material or a product cutaway are good ways to demonstrate unique features and benefits. · Give reasons to buy. A customer’s time is a valuable commodity, and smart manufacturers and dealers are using service convenience solutions (such as mobile “come-to-you” service or service pick-up and delivery) as a reason to purchase. This entry was posted on July 19, 2018, 2:25 pm and is filed under Automotive Digital Marketing. You can follow any responses to this entry through RSS 2.0. You can leave a response, or trackback from your own site.